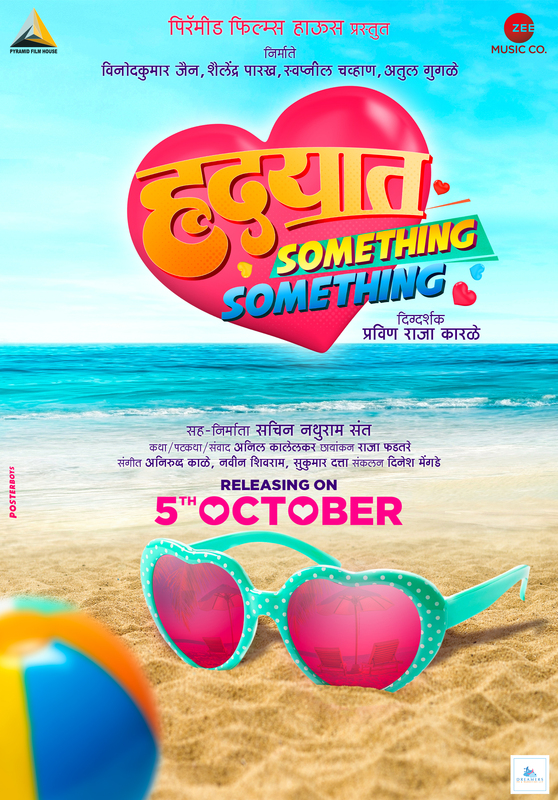 ‘Hridayat Something Something’, is an upcoming movie directed by Praveen Raja Karle with Vinodkumar Jain, Shailendra Parakh, Swapnil Chavan, and Atul Gugale as the producers andPyramid Films as the presenters. The first look of ‘Hridayat Something Something’ was recently launched on social media and it has definitely managed to grab the eye-balls. The star-cast of the movie is not yet disclosed which is only raising the curiosity bars. “Hridayat Something Something is a complete Family-Entertainer and I am absolutely satisfied with the product and the hard-work every member has put in. I am sure people will relate to the film and shower love upon us. Cannot wait for the movie to release…” said the Director, Praveen Karle. The movie is all set to hit the theatres this October 5th.